Developed by two of the world’s preeminent mathematicians, ThetaRay brings a transformational approach to big data analytics, isolating problems buried beneath big data and pinpointing opportunities concealed within traditional systems. Drawing inspiration from the manner in which complex systems operate in nature, ThetaRay’s patented algorithms grow more intelligent over time, yielding objective results in seconds. Revolutionary in its approach, ThetaRay lets math discover meaning in the data without making any pre-assumptions. Its rule-free approach pinpoints items that matter now and in the future, mapping them in context, time and location. With ThetaRay, clients obtain measurable value in days and achieve full deployment in a matter of weeks. From that point on, ThetaRay’s system runs automatically, without intervention from client personnel and with the continuous support of an adaptable platform. 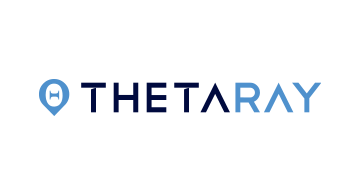 TheraRay helps financial institutions, cyber security divisions and critical infrastructure businesses make giant strides in managing risk and generating new growth. With ThetaRay’s solution, organizations become as resilient as these times require: safeguarding assets, recovering from setbacks and capturing future growth amid continuous change.